This half term we will be learning about different flowers and plants and how they grow. We will do some poetry and non-fiction reading and writing as well as doing growing work in Science and Topic work. Below is the Parent Overview for the topic. In the Spring Terms we learnt about Explorers, through our topic and English lessons. We learnt about the lives of Christopher Columbus and Neil Armstrong, transport they used and geography from around the world. We built an igloo using plastic milk bottles in our role play area and now have a Space Station- themed play area! We also had a visit from an astrodome. In Autumn 2 we learnt about toys and comparing those from the past with modern day equivalents. We looked at what materials toys were made from and the properties of these as well. 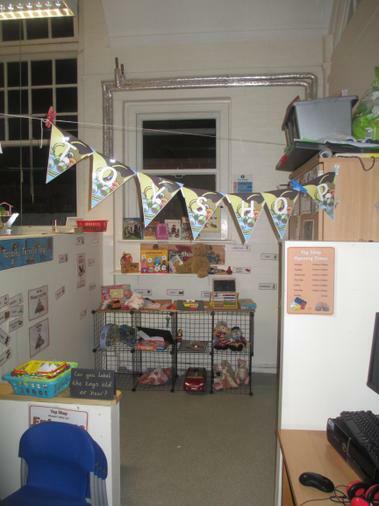 We had a role play area set up as a toy shop where children used their vocabulary they learnt through the topic. In Autumn 1, we learnt about the different countries around the world, looking at maps, globes and atlases. We also shared our postcards that were sent in, and demonstrate where on the map of the U.K. or World they are from. We also learnt about the continents of the world and where the equator lays. We learnt geographical vocabulary to describe physical features too. Phonics Play Fun games to practice blending phonic sounds. ICT Games A range of ICT games to support Maths, English and Topic in KS1. BBC Bitesize KS1 curriculum support. Top Marks Maths Counting and number recognition games.